Become a more graceful human being. Learn to be open and undefended with what is. WELCOME to a new way of being that is powerfully loving, liberated and wise. Grace is more than a lofty state. It is direct experience of Divine presence coming alive from within, connecting you to real love, clarity, peace, strength and joy. Grace ends the struggle, transforms your suffering into wisdom, opens the gate to deeper dimensions of consciousness, and supports you to embody your highest potential in this world. Grace is more available than you might think. I offer you a hand of spiritual friendship and a practical map to make your journey home clearer, kinder and more potent. Together, we will listen to the wisdom that is already alive within you. Let fear and control melt in an atmosphere of unconditional love. Cultivate the virtues that make you spiritually mature, capable of meeting everything with openness and compassion. I invite you to surrender, not through trying to transcend your humanity, but through a practice I call Ego Relaxation. Ego Relaxation frees you to live an authentic life, relish the gift of your existence, and make a meaningful contribution to our world. This website is your gateway to a life of Grace. May it support you to become a saner, wiser, more graceful human being. 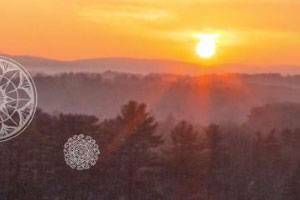 Relax into Grace at the ground of your being with four days of inquiry, meditation and devotion, amidst the extraordinary nurturing yoga and healing arts program that is Kripalu. 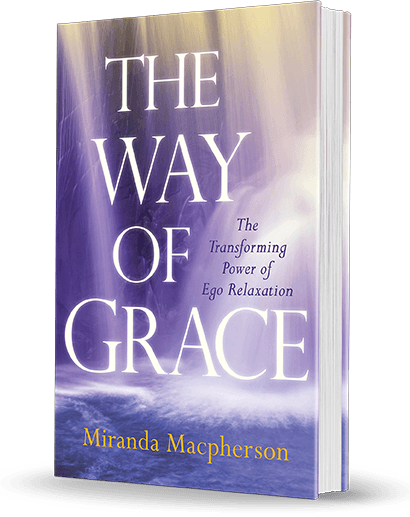 In this free book talk, Miranda will share why she was compelled to bring this feminine, holistic approach to spiritual surrender into the world in these challenging times. 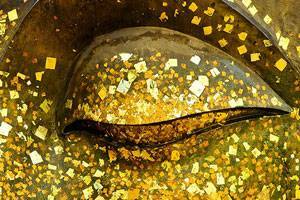 Join us as at world-famous Esalen Institute as we dive deep into the luminous presence at our core. 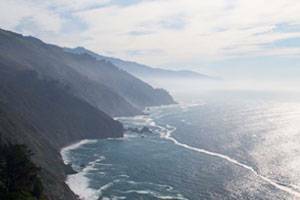 We’ll be looking out over the exceptionally beautiful Big Sur coast, nurtured by the healing waters and world- famous Esalen massage. Limited spaces available. Reconnect with who you truly are: peace and joy. Liberate your unnecessary suffering and stress patterns at the root, through true forgiveness, compassion and unwinding your ego identity. 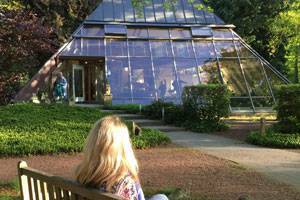 This retreat also includes breathwork sessions, alongside inquiry, meditation, and chanting. 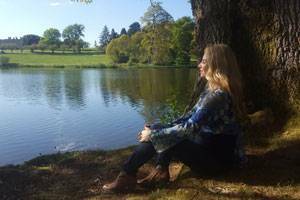 You are invited to join Miranda Macpherson for an immersive residential weekend retreat of profound spiritual teaching, supported self-inquiry, meditation, chanting and prayer in a beautiful, peaceful setting. Miranda Macpherson is known for her depth of presence and refined capacity to guide others into direct experience of the Sacred. Within a tangible atmosphere of unconditional love, she teaches and transmits a synthesis of self-inquiry, devotion, meditation and psychological wisdom that embraces every aspect of our humanity as a gateway home. She shares an integrated approach to non-dual realization born out of her own awakening process, inspired by the silent presence of Sri Ramana Maharshi, A Course in Miracles, extensive study of the world’s wisdom traditions and more recently, the Diamond Approach. 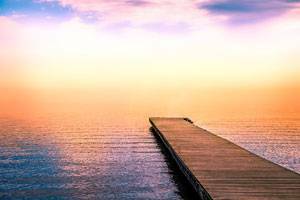 With over twenty years experience teaching and counseling internationally, Miranda’s clarity offers a powerful holding in which to access deeper dimensions of consciousness, unwind ego obstacles and embody spiritual depth in everyday life. Unapologetically feminine, joyful and down to earth in her way of being, Miranda is dedicated to loving people all the way back into the freedom and wholeness of our true nature. 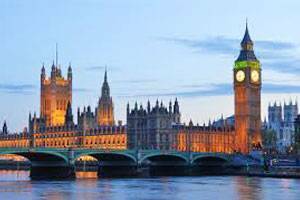 Miranda founded the “OneSpirit Interfaith Foundation” in London where she trained and ordained over 600 ministers. She is author of “Boundless Love”, “The Heart of Being” mantra CD and countless articles. 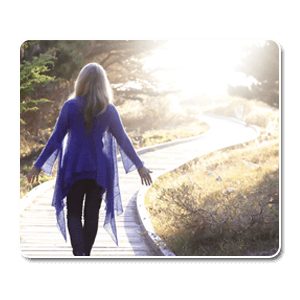 Today Miranda leads the “Awakening Love & Wisdom” ongoing sanghas in Marin and Sonoma counties and teaches internationally. She lives in the San Francisco bay area with her husband Bob Duchmann. 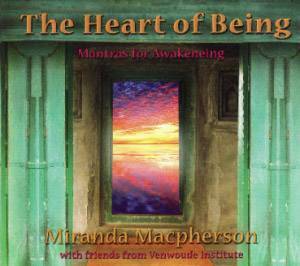 Journey of Awakening with Miranda Macpherson from Coleen LeDrew Elgin on Vimeo. And yet remains as “I”. Miranda was born and raised in Perth Australia, but has lived her adult life in the UK and now the USA. Her spiritual path consciously began at the age of thirteen. Amidst a period of clinical depression, she was cracked open into the ground of reality that is boundless love. This formative awakening initiated her into a life dedicated to transformation of the soul. 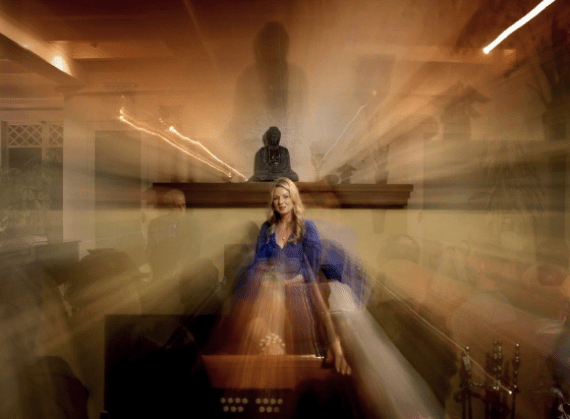 On fire with the desire to understand and live from the vision she had tasted, Miranda spent her teens and early twenties studying yoga philosophy and practice, reading the Christian mystics, studying Zen and Vipassana meditation, practicing within a Mevlevi Sufi order and more. She became aware of the need for psychological unfolding to integrate all that deep spiritual practice begins to dislodge, and so studied spiritually oriented psychology and breath-work. During these early years Miranda was often asked to hold space for others in their development, running meditation groups and sharing her discoveries. She never set out to be a teacher. Her professional life began in the media. 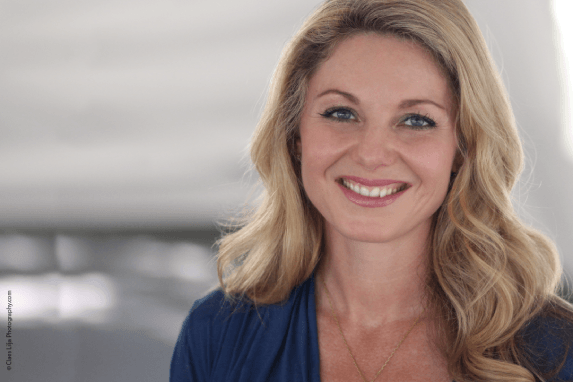 After graduating from Edith Cowan university (WA academy of performing arts) she came into early success as a television presenter during the first Iraq war. However, she was quickly dis-illusioned by a machine that felt at odds with her love of truth. Miranda left Australia, married for the first time, and entered inter-faith seminary in New York. She relished the scriptures and practices of the great wisdom traditions, understanding that although spiritual lineages are distinct, they are not separate but part of one unfolding stream of God consciousness. She was ordained at the age of 25, and asked by her teacher Rabbi Joseph Gelberman to found “OneSpirit Interfaith Foundation” in London. 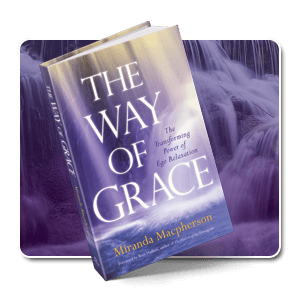 For ten years, Miranda was the pioneering spiritual director of this ground-breaking organization that changed the spiritual landscape in the UK and still continues today. She trained and ordained over 600 ministers and counselors from all faiths and none, gained invaluable teaching experience, and began the seeds of the approach she offers today, expressed in her book “Boundless love”. In this period, her inner life was steeped in mystical Christianity, meditation and the spiritual psychology of A Course in Miracles under the guidance of her teacher at the time Tom Carpenter. 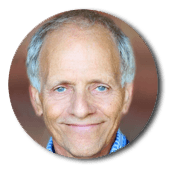 Miranda was utterly dedicated to the practice of radical forgiveness and became a respected teacher within the ACIM community. In her mid 30’s on one of her many pilgrimages to India, Miranda was unexpectedly opened into silent cessation in the cave that was home to Sri Ramana Maharshi. This non-dual awakening initiated a powerful dismantling of her familiar identity that swept complete changes though every aspect of her life, requiring a total surrender. She handed her leadership of “OneSpirit” on to others, to immerse herself fully in the lineage of Advaita as embodied by Sri Ramana. Respecting the necessity of time for integration, she spent as much time as possible living simply in India. Gradually, she began sharing the transmission in India, London, the Findhorn Foundation and New York. A year after the awakening in the cave, she moved to the San Francisco bay area to begin a new life. Taking time to re-group as a person around this new awareness, she formed a small counseling practice, taught at the ‘Feminine Wisdom School’ with Lama Palden and Sherry Anderson, gave retreats and gatherings when asked, and met and married her husband Bob Duchmann, a teacher of the Diamond Approach. 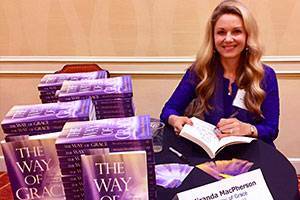 Miranda’s realizations of true nature as both no-thing-ness and as boundless love, began forming into a powerful body of teachings that she shares today with sincere aspirants all over the world. Her desire is for others to both drink from the transmission, while also receiving the practical tools to support their inner practice to blossom fully. Miranda regards awakening as a continual process with no fixed end point. 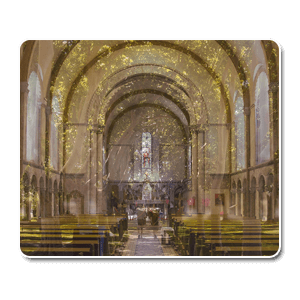 She continues to study scripture, take retreats and receive from spiritual elders such as Jeanne Hay and A.H. Almaas, engaging in support herself to actualize the deepest prayer of her heart, which is to be truly helpful to all who come her way.